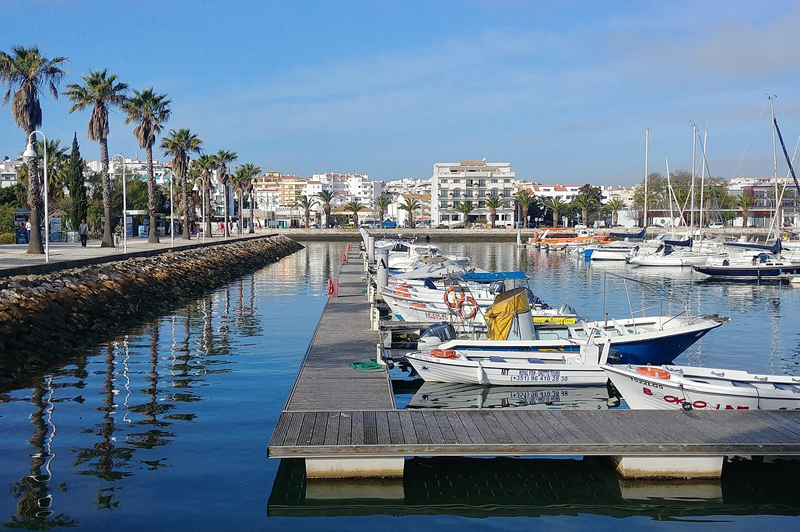 Ditch the unpredictable weather and head to the Algarve for sunshine, blue skies and the warm Mediterranean Sea. With flights from 30 airports in the UK and Ireland it’s so easy to just pack your bags and head for the sun and the holiday of a lifetime. What makes the Algarve so special? 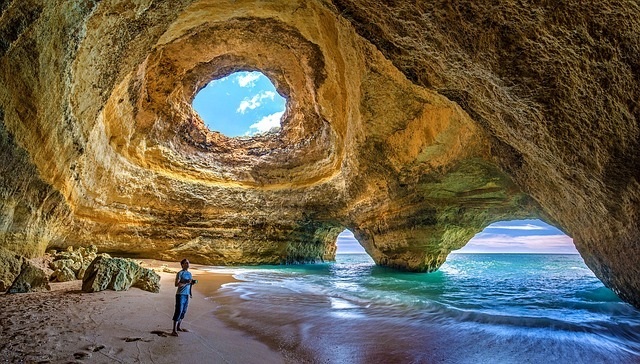 With 150 miles of coastline, the Algarve has some of the finest beaches in the world and has been voted Europe’s Leading Beach Destination at the World Travel Awards for five of the last six years. Wonderful beaches make the area a beach lovers paradise – the custard-cream golden sands of Praia Do Carveiro were voted best beach in Europe 2018 by European Best Destinations (out of 129 countries). The Algarve is a golfing hotspot with 43 excellent courses to keep every sort of golfer happy. 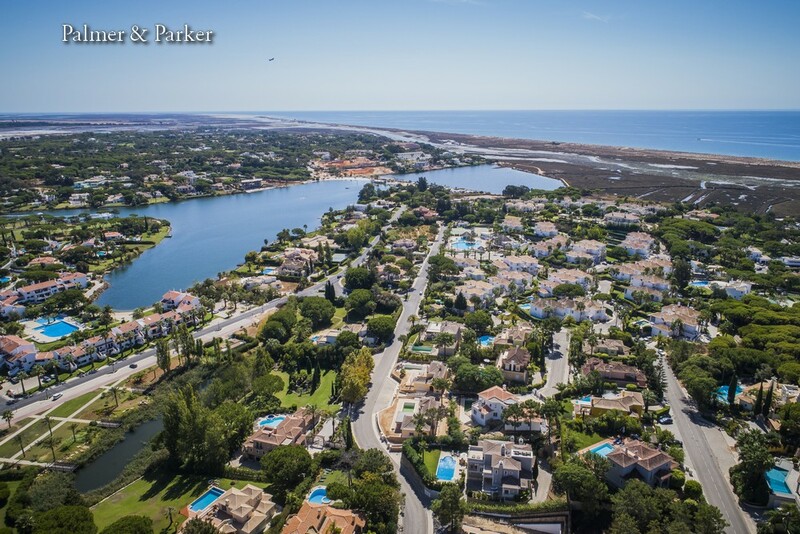 Quinta do Lago is the ultimate in luxury resorts with world class golf courses and water sports and gorgeous beaches on the doorstep. You’ll discover fabulous restaurants and irresistible shops, picturesque villages and chic towns close by – it’s as busy and hedonistic or as relaxing and tranquil as you want it to be. 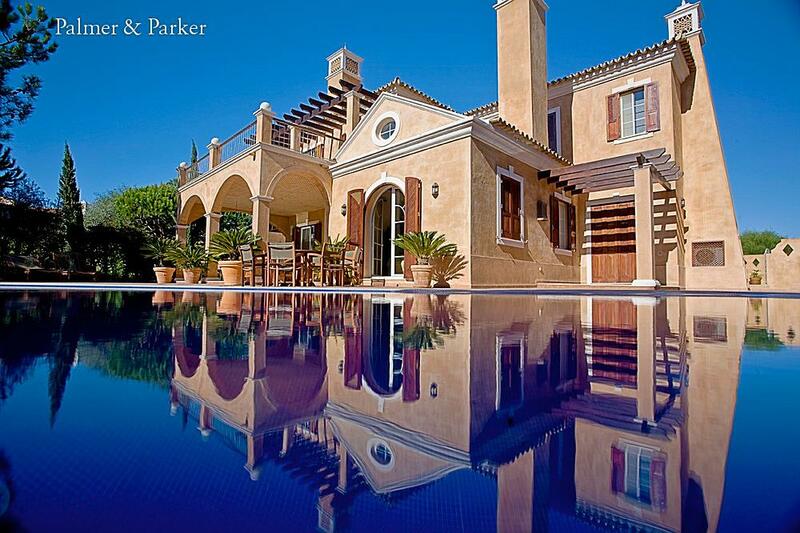 The cherry on the cake is to stay in one of the many stunning villa rentals available in the Algarve. There’s absolutely nothing ordinary about our holiday homes, staying in one means you truly live the dream. 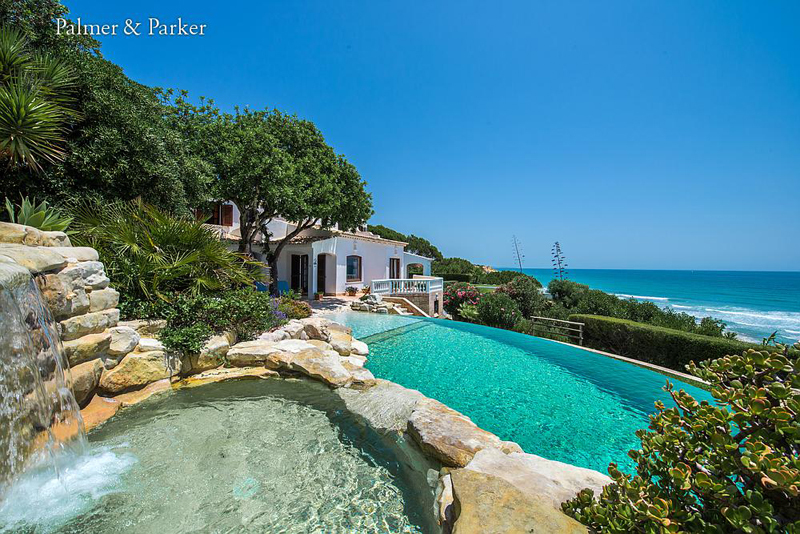 Everyone has a dream holiday home in mind, but here are just a few exquisite villas from our great selection in the Algarve. And, of course they all have maid service, so you can just put your feet up and enjoy every minute of your well-deserved break in the sun. 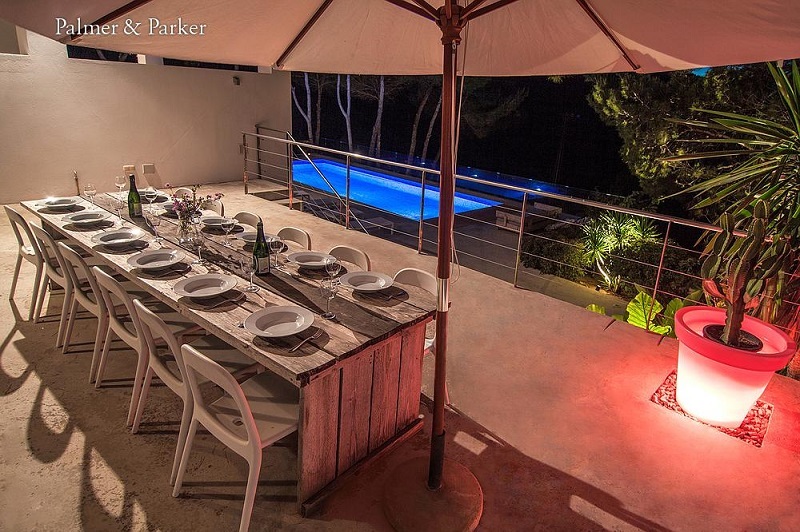 Perfect for families, friends and groups, this villa sleeps 14 easily and is a grand new build with a state of the art cinema room, fabulous entertaining areas, large pool and beautiful gardens. The only reason to leave is to go to the beach nearby, to play golf, dine out in one of the excellent restaurants close by, shop in the wonderful shops and, well, enjoy yourself! 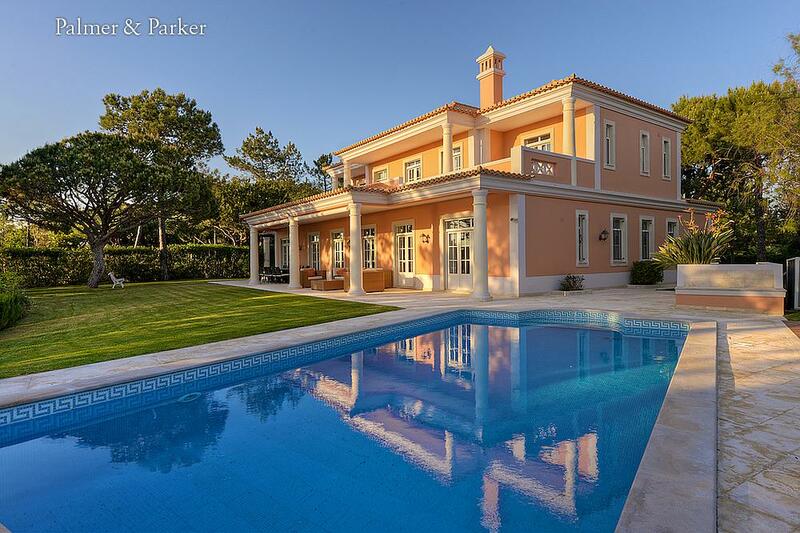 This magnificent villa sleeps 8 in total luxury with a superb gym, sauna, large heated pool, cinema room and stunning terrace and gardens. 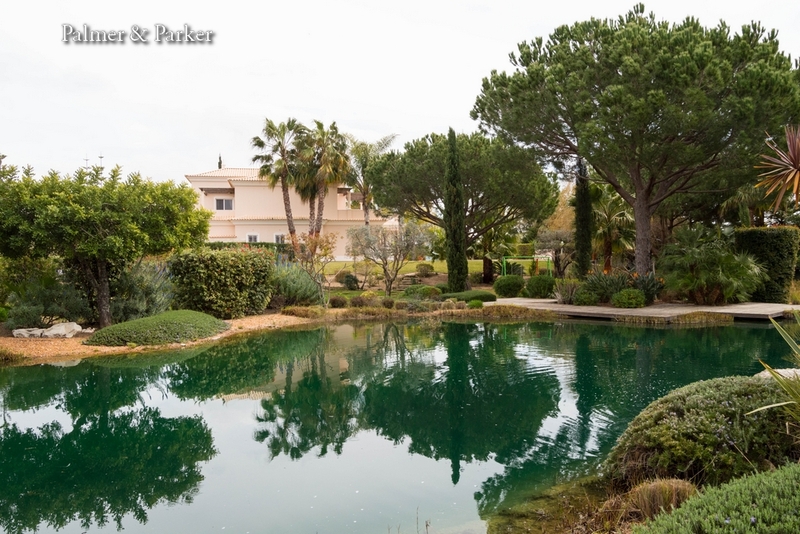 Overlooking the first fairway of San Lorenzo Golf Course in Park Atlantico, 10 minutes walk from the beach – va va voom to this delicious dream holiday in the sun. 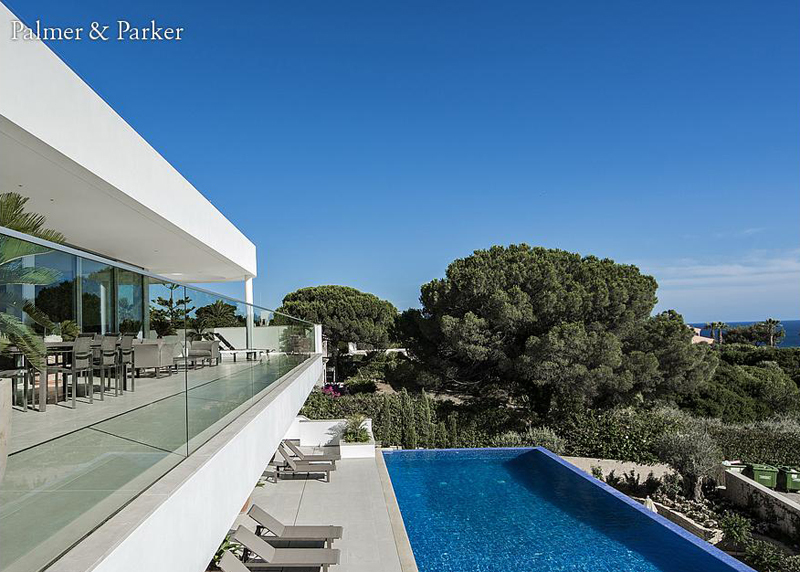 Two pools, dazzling views over the ocean, beautifully decorated, gym, spa, home cinema, games room and gardens to sigh over – this is one you’ll fall head over heels for. 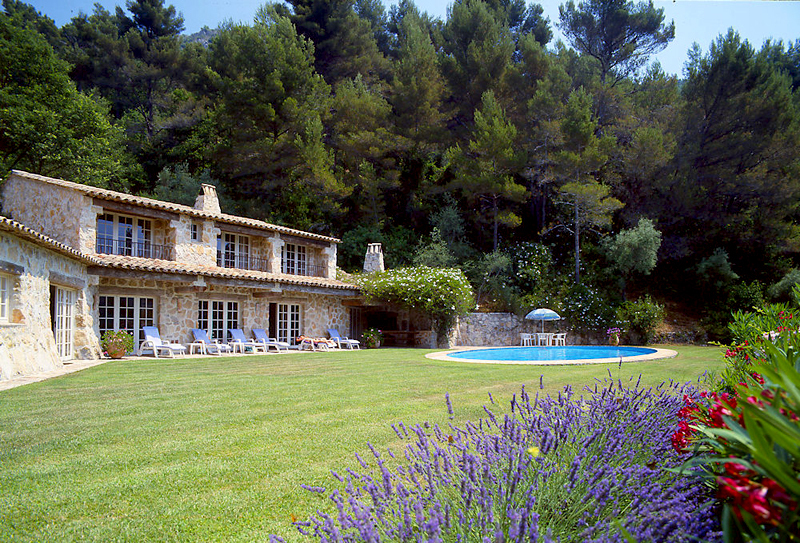 Sleeping 12, this sumptuous villa in a fantastic location is outstanding. Take a dip in the pool, enjoy candle lit aperitifs on the terrace, watch the turtles swim in the lake and simply unwind in beautiful surroundings. 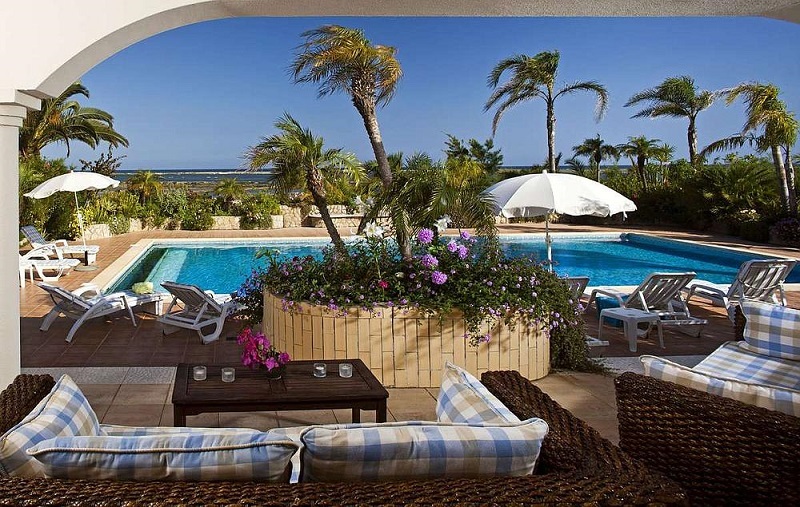 Sleeping 8 this villa is just 10km from the beach and is perfect for friends and for families. 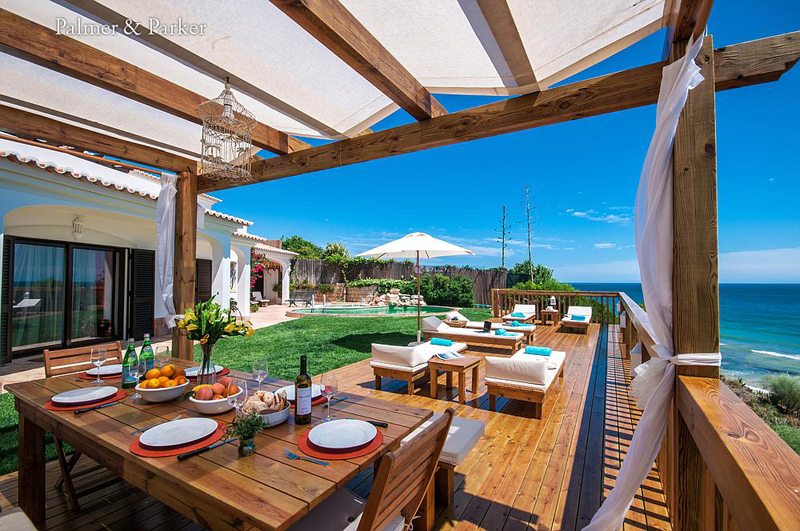 Wow, and we really mean wow – this villa is seriously special. Brand spanking new, sleeping 10, it’s set in a luxurious new private gated development at L’Orangerie on the world-famous Victoria Golf Course. 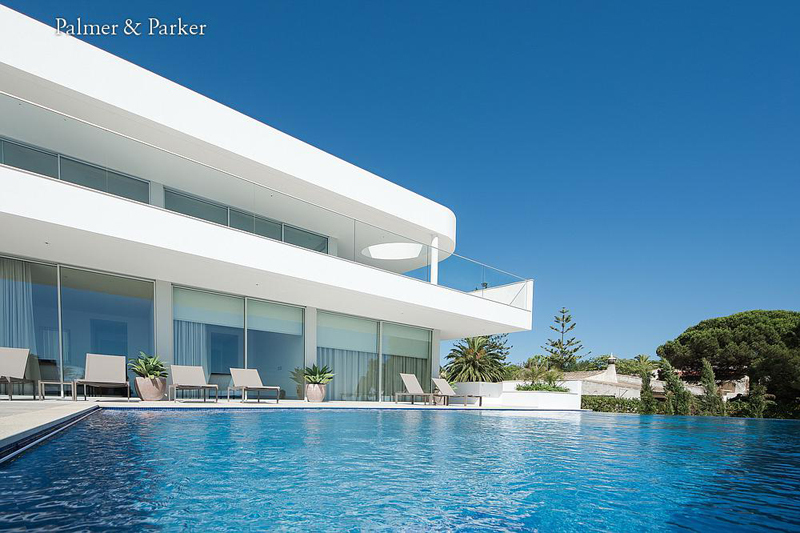 With a designer interior, infinity pool and fabulous outdoor entertaining areas – now imagine waking up to that every morning! Perfect for families, friends and groups, with sea views, close to the beach and to the Ria Formosa and Hole 6 of Sao Lorenzo Golf Course. 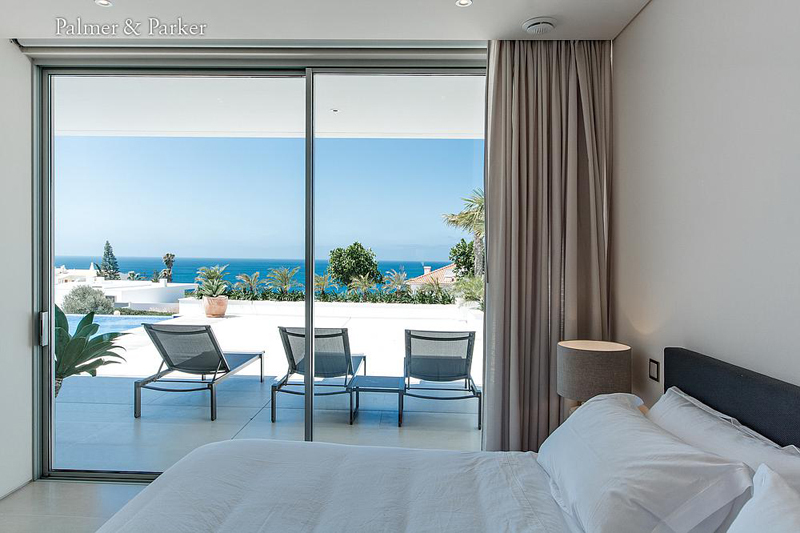 Sleeping 12 with absolutely spectacular views that make this a standout home from home, watching the sunset over the sea and the golf course from the terrace is what memories are made of. 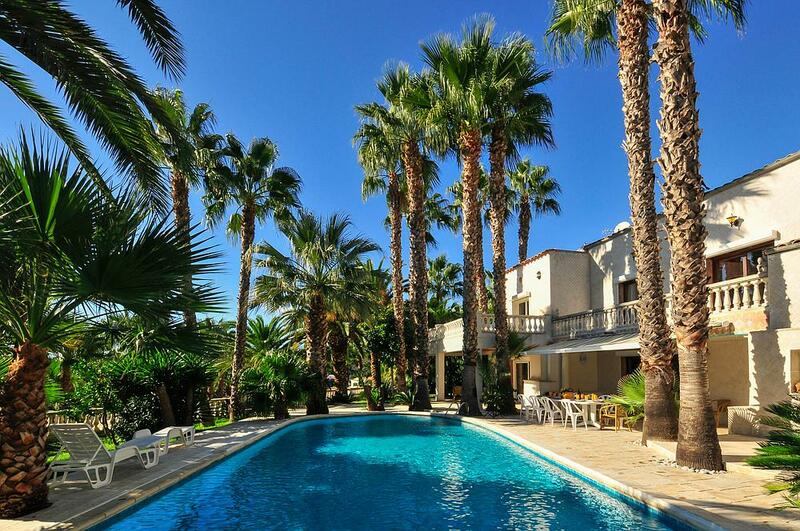 If you like elegant luxury, then this villa which sleeps 12 is for you. 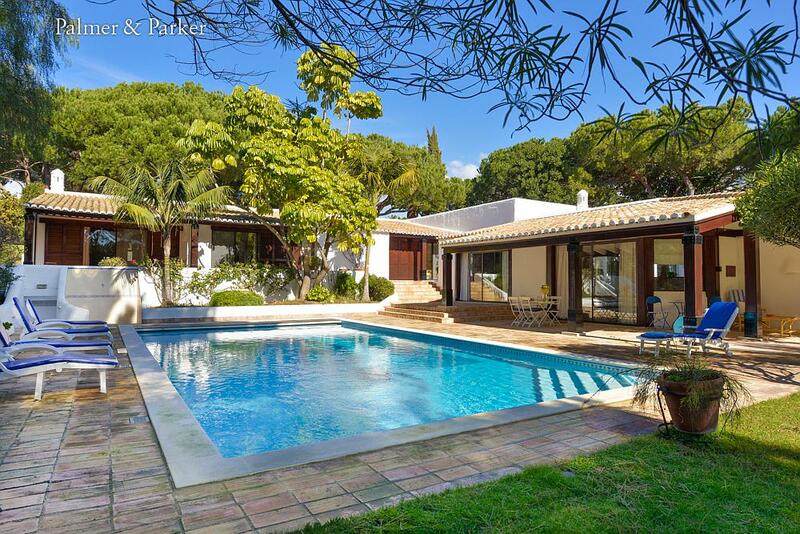 With an indoor and outdoor pool, located off Avenida Ayrton Senna. It’s lavishly and stylishly decorated, with a gym, games room, great pool and a garden made for relaxing – it’s your own little corner of heaven. 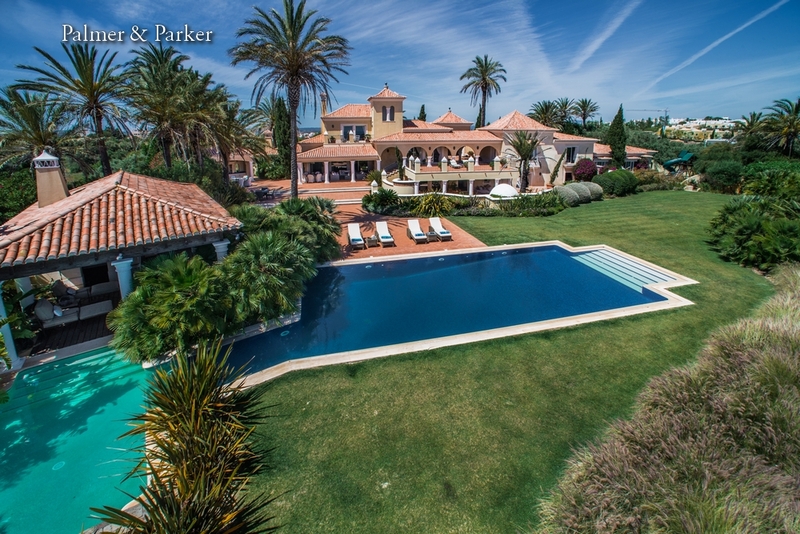 In the heart of the sought-after Parque Atlantico, sleeping 10, Villa Borboleta is just 5 minutes from 72 holes of championship golf, great restaurants, tennis centre and the beach. 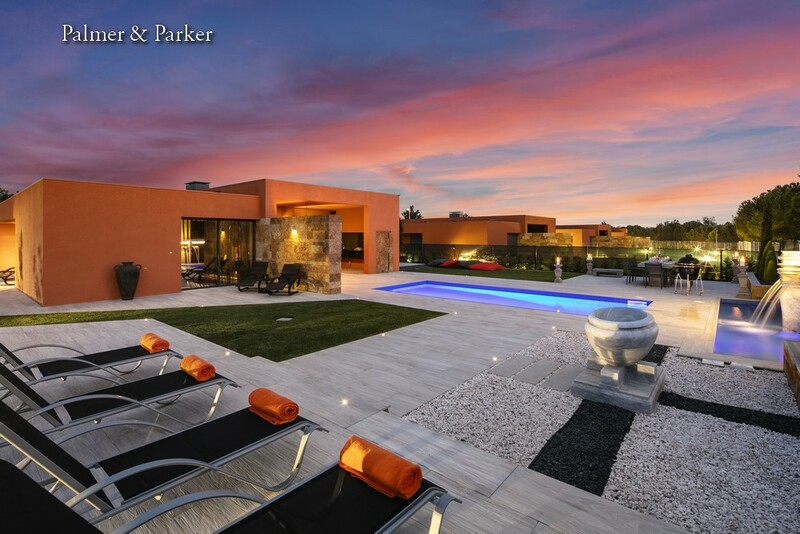 The cool pool is tempting, as is the built-in barbecue, fabulous outdoor dining areas and just about everything in this house!